Kim Brown describes her son Andy Lamp as a normal, happy Iowa kid who played football and baseball. A kid who didn’t do well in school, but earned his GED, held down a job and took drafting courses at a local college. “It all fell apart,” Brown said. 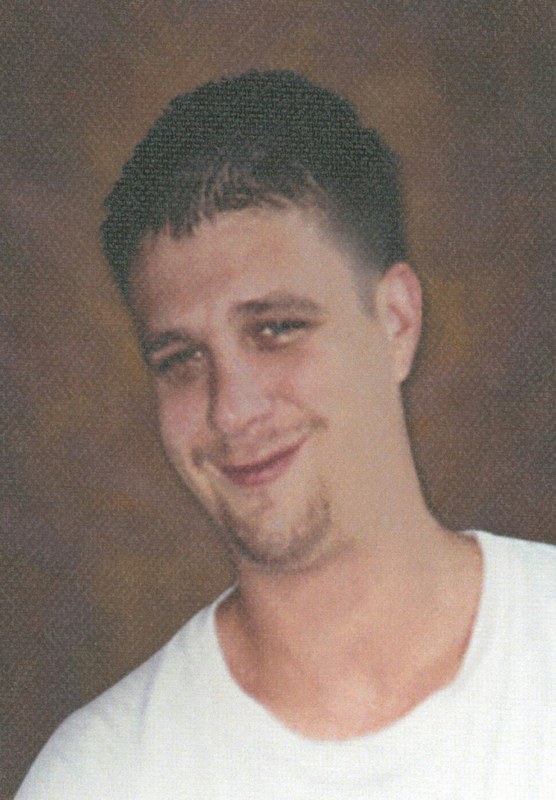 Lamp’s battle with heroin upended his and his family’s lives. Within a few years, he would experience two death-defying rescues from overdose before the drug took his life in 2011. Now, Brown is among those fighting for better understanding of substance use disorders and for measures that could save the lives of people like her son, including broader access in Iowa to an overdose reversal drug called naloxone or narcan. Iowa is one of seven states that have not expanded access to the potentially life-saving drug that can reverse overdoses of heroin and opioid-based prescription pain medication, like OxyContin and Vicodin. Other states have expanded access to the drug to laypersons, including friends and families of drug users. In Iowa, access is largely limited to health professionals, including emergency medical services, even though naloxone is a prescription drug and not a controlled substance. Opioid abuse, in the form of prescription painkillers and heroin, has contributed to a growing number of Iowa emergency room visits and overdose deaths in the past decade. Although some efforts are underway to counteract the trend, bills providing expanded naloxone access have failed to pass through the Iowa Legislature. The bills failed in part because of the stigma and lack of understanding among policymakers and legislators about drug use. But concerns about impeding law enforcement efforts to counteract trafficking and drug use also contributed to its doom. Advocates plan to reintroduce bills during the upcoming legislative session, but support from policy makers and law enforcement officials who spoke with IowaWatch was mixed. “It’s not a silver bullet,” warned Steven Lukan, director of the Iowa Governor’s Office of Drug Control Policy. Advocates were hopeful some provisions will pass this year, especially because attempts to expand naloxone access will be presented in a bill separate from another one with a Good Samaritan provision, so called because it is intended to protect those who report an overdose from arrest or prosecution. Naloxone expansion is more widely supported by law enforcement, public health officials, and a number of national organizations including national medical, pharmaceutical, and public health boards. The provision for naloxone expansion previously was combined with the Good Samaritan provision. Rep. Ako Abdul-Samad (D-Des Moines), who has been involved in drafting the bills, said they are being separated so legislators do not vote against naloxone expansion because of concerns about the Good Samaritan provision. “The bill is so important. We’re talking about saving lives,” Abdul-Samad said, referring to naloxone expansion. Lukan said the Office of Drug Control Policy supports expanding access to first responders, including police and fire departments. “We certainly want to stop overdose deaths but I think we have to word those things carefully and make sure we’re thinking everything through,” he said. He didn’t want people to see the drug as a cure-all, he said. Lukan also voiced concerns that a Good Samaritan provision— like the one attached to previous Iowa expansion bills — could impede drug investigations. But for those like Brown who have lost a loved one to an overdose, the policy change seems straightforward. “He was just a normal little kid. He was happy. He was joyful. He helped our elderly neighbors. He played football and baseball,” Brown said of her son, Andy Lamp, who died at the age of 33. 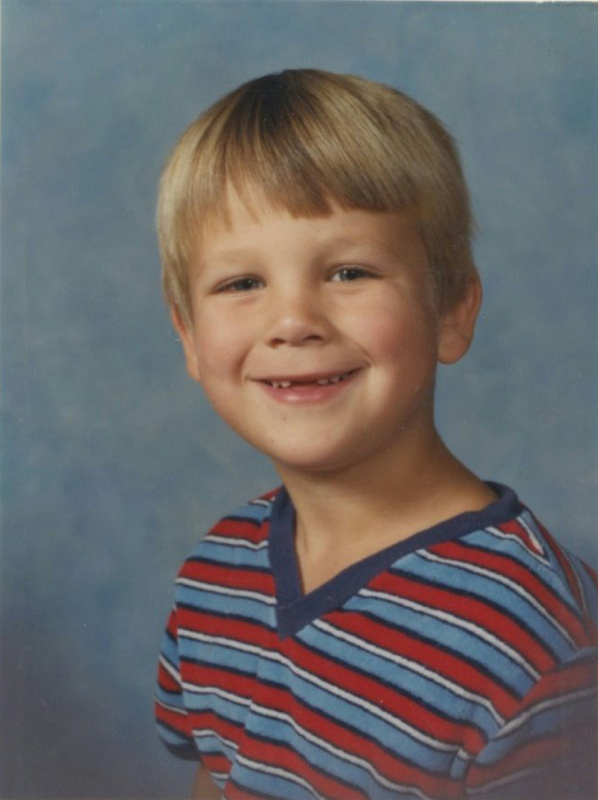 Brown, a registered nurse from Davenport, said the family started to notice a change in Lamp’s behavior when he was about 14; the same time he had abdominal surgery for a necrotic bowel and was prescribed pain medications. “He seemed to like taking those Percocets,” she added, using the brand name for a medication that combines acetaminophen and oxycodone, an opioid painkiller. It is classified as a Schedule II drug by the Controlled Substances Act meaning it has a high potential for abuse. She said Lamp seemed to lose interest in school and skipped classes to the point where she would go to the school and sit with him. Eventually, he seemed to straighten out, she said, getting his GED and attending computer-aided drafting classes at a local college. Then, around 2009, the family saw his behavior change again and suspected him of using heroin. Brown said family members did their best to look after and protect Lamp. The constant worrying meant she rarely left town. But it was during one of those rare trips — to Colorado to visit a friend — that she received a phone call from Iowa saying Lamp had overdosed. She called Lamp’s older brother in Iowa and confirmed that Lamp had been in a hospital emergency room with the overdose and then sent home. The second time, a few years later, she said Lamp’s older brother received a call from a man saying Lamp had overdosed and the brother had better get down there because the man was leaving. Andy Lamp was rescued again. The third time, he was not. “When the law enforcement officer came to my door to tell me my son was dead, I already knew. I knew before I answered that door. A mom knows,” she said. Brown said Lamp wasn’t alone at the time of the overdose. Now, she’s fighting to pass naloxone expansion and Good Samaritan measures to encourage those who witness an overdose to call for medical help and to provide a life-saving tool for other families. According to the National Institute on Drug Abuse, heroin is an opioid drug that functions similarly to opioid pain medications like Oxycotin and Vicodin. In studies of young people who have injected heroin, nearly half reported abusing prescription opioids first. Some said they turned to heroin because it was cheaper and easier to get. Opioids bind with receptors in the brain involved in sensing pain. During an overdose, breathing can be suppressed, reducing the amount of oxygen reaching the brain. Those who use the drug repeatedly can develop both dependence and an increased tolerance, needing the drug for normal functioning and requiring increased amounts. The dangers with illicit heroin are increased when users don’t know what is in the drug, whether it is nearly pure, cut down with other substances, or mixed with more potent substances like fentanyl, which is 25 to 40 times more potent than heroin. “A very, very tiny amount of the substance can have a very dramatic, lethal impact,” said Patrick Reinert, Assistant U.S. Attorney for the Northern District of Iowa. In 2014, 61 Iowans died as a result of opioid pain reliever and heroin-related overdoses. Most — 42 — of those deaths were due to pain relievers, according to data from the Iowa Department of Public Health Bureau of Health Statistics. Those numbers are down from the 97 deaths reported in 2013, with 77 related to pain relievers. However, a peak of 1,555 opiate-related emergency department visits were reported by the Iowa Department of Public Health in 2014. The Iowa Poison Control Center reported 522 calls due to human exposure to hydrocodone and oxycodone and projected an increase in 2015. 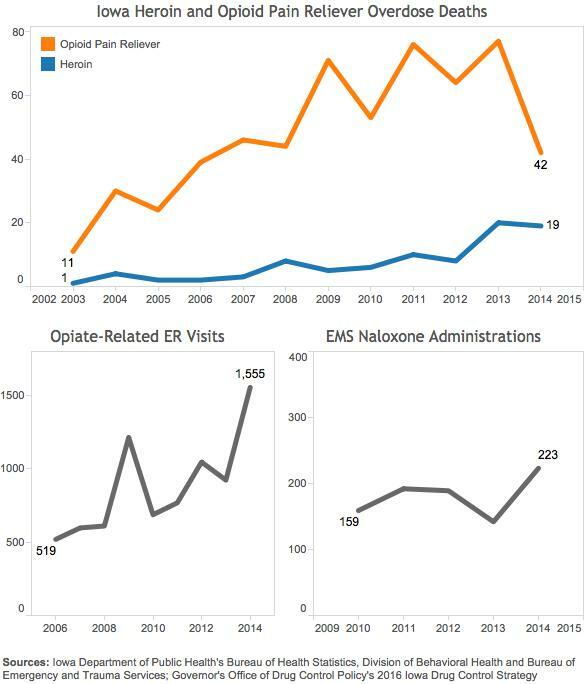 Also reaching the highest number in five years: Iowa naloxone administrations by EMS, which were reported at 223 in 2014 by the Iowa Department of Public Health, Bureau of Emergency and Trauma Services. Drug poisoning — which includes overdose, being given the wrong drug and taking a drug in error or inadvertently — surpassed car crashes as the number one cause of injury-related death in the United States. More than six out of 10 drug overdose deaths in 2014 involved opioids, according to the Center for Drug Control and Prevention. 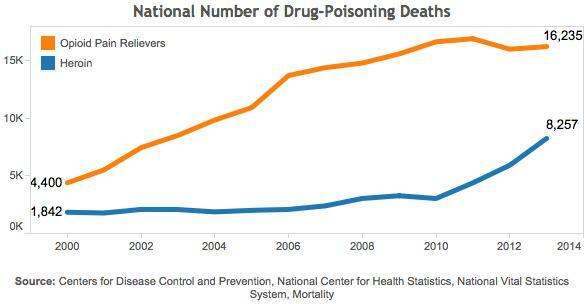 Nearly 44,000 people died in 2013 due to drug poisoning, according to numbers from the National Vital Statistics System. The rate of deaths due to heroin per 100,000 people has almost tripled from 2010 to 2013, increasing from roughly 3,000 to over 8,000. The number of deaths from opioid painkillers has leveled slightly over the past few years, accounting for over 16,000 deaths a year since 2010. Lukan, of the Iowa drug control policy office, said Iowa is partially insulated from national epidemics and has seen far smaller numbers than others states. In fact, Iowa is among the states with the lowest rates of overdose deaths. “But the challenge right now is that this has exploded relatively quickly and I think that it certainly is one of the most pressing public health, public safety measures because of the number of overdoses and the danger that’s involved,” he said. The office listed reducing the number of Iowans who die from prescription pain medication and heroin overdose as one of three goals in its 2016 Iowa Drug Control Strategy. Naloxone expansion was not listed as a means for reducing those deaths. Jessica Grier, a registered nurse at Genesis hospitals in Davenport, said she saw an uptick in the number of naloxone administrations during the last half of 2015. Getting called out to the parking lot for an overdose was a recurring event, she said, including cases where hospital workers fetched patients from the back of cars before the drivers drove away. She said accidental overdose patients are monitored for a few hours after administering naloxone, a procedure that sometimes can require additional doses depending on the drugs in their system. Patients are given the option to go to a treatment center, but most opt out, she said. “They just want to go home,” she said. Cedar Rapids Police Chief Wayne Jerman said he had been on calls where naloxone was administered by other emergency responders and he would support expanding access to police officers. “Police officers can be the first to arrive on the scene and seconds and minutes matter. So if someone has been suffering the effects of an overdose, to have an officers with the ability to administer narcan can make a difference,” he said. Numbers rounded up in September by the Network for Public Health Law show a recent uptick in states expanding access to naloxone beyond first responders and medical personnel. The report showed all but seven states had passed some kind of legislation to improve layperson access to naloxone. Twenty-three of those states updated their laws dealing with naloxone access in 2015. The laws differ in which protections are included and the extent of access. For example, some allow for possession of naloxone without a prescription or allow prescriptions to a third party. Others provide protections against liability for prescribers, dispensers, or lay administrators. Some organizations in states with broader laws have worked to put naloxone in the hands of community members, including drug users, their friends and family members and service providers. From 1996 through June 2014, 136 organizations nationwide provided naloxone kits to 152,283 community members, according to a 2014 survey by the Harm Reduction Coalition. Of those, 109 organizations collected data on reversals, reporting that the kits resulted in 26,463 overdose reversals. The Iowa Drug Policy Advisory Council, which helps to produce the Iowa drug control strategies and works with the drug control policy office, has members from law enforcement, education, human services, public health, and substance abuse treatment fields. Lukan, of the drug control policy office, cited concerns among those he works with about the cost and availability of naloxone should a bill be passed and demand increase. He also said there has been concern that passing broader naloxone access laws would suggest an acceptance of drug abuse. He said that in the years since measures started passing in other states there doesn’t appear to be a rise in the states’ use rates. Still, he said it was important to be mindful of the messages laws send and that it was important to emphasize the dangers of drug use and to focus on prevention. Another factor in the debate this year is the FDA’s November approval of a prescription naloxone nasal spray, which increases the ease of administration. 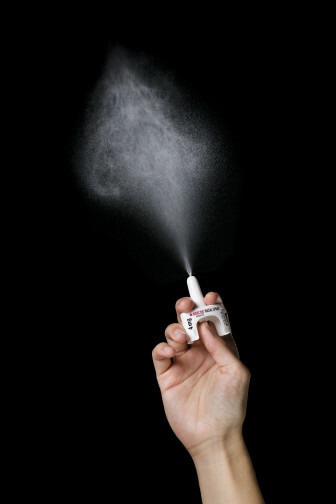 Previously, only naloxone injections were approved, although the FDA’s press release noted that unapproved nasal spray kits were common. States increasingly are passing Good Samaritan provisions as well, according to the Network for Public Health Law’s report. As of September 2015, 34 states and the District of Columbia had laws on the books to encourage individuals to call for help. Fifteen of those states updated their laws in 2015. States weren’t consistent in the kinds of protections passed. Some provide immunity from arrest, charges or prosecution for possession of controlled substances or for paraphernalia possession. Some also provide immunity from restraining order, probation or parole violations. “Iowa was a bit slow on the draw,” said Brown, who has been working alongside Iowa lawmakers for two years to try to pass naloxone and Good Samaritan provisions. In part, she said, the stigma and shame associated with substance use impeded efforts. “Folks did not want to talk to me about the manner in which my son died. And I think we need to change that. It’s a disease just like any other disease. We should be outraged that we still have the shame and stigma attached to it,” she said. She cited efforts such as a recent heroin and opioid summit in Iowa City as signs of increased awareness and community discussion. The summit, held in November, gathered more than 200 individuals from the medical, treatment, law enforcement, and public health fields to discuss issues of opioids in Iowa with a focus on collaborating efforts. Brown said she hoped increased public awareness benefits renewed efforts this legislative session. Abdul-Samad, the state representative involved with drafting naloxone expansion bills this year and last year, said Brown’s story was part of what drew him into the problem. He said he has seen increasing support for the measures, in part due to the increasing trends of abuse and overdose and the problems faced in other states. But some pushback remains, especially against the Good Samaritan provisions. One concern law enforcement officials and policy makers weighed in conversations with IowaWatch was that the provision might give protection to the same people who were contributing to issues of drug use and crime in a community. “You have sort of the extreme example where maybe somebody is present that sold the drug or maybe somebody that’s been under investigation for a year and a half for trafficking and suddenly you have to let them walk or they have immunity from prosecutions,” Lukan said. He cited concerns about unintended consequences and a desire to protect victims of drug use. “We want to make sure there are other angles discussed and understood fully before we would be comfortable moving down this road,” he said. However, Abdul-Samad said he didn’t see the provision as being soft on crime. “We’re not trying to let somebody get away. What we are trying to do is make it conducive for an individual not to leave another individual lying on the floor,” he said. Last year, the bill containing both naloxone expansion and Good Samaritan provisions passed the Iowa Senate but did not come to a vote in the House. Another similar bill in the House never made it out of subcommittee. Abdul-Samad said he was banking on the separation of the two proposals into separate bills to help gain traction this session. Brown said she hopes not only that the bills pass but also that increased community discussions decrease the shame and stigma surrounding substance use, which can inhibit treatment and prevention efforts. “Most of all, I would like to see that people accept the fact that science has determined that it is a disease, not a moral failing and we need to treat these folks,” she said. Jerman, of the Cedar Rapids police department, said other efforts to address opioid addiction in communities need to be multi-pronged and not solely focused on prosecuting crimes. “We need to identify what is causing persons to become addicted to the painkillers, whether it’s from over-prescriptions or some other causes. And then we need to provide the treatment for their addiction,” he said. One multi-pronged effort is the Heroin Initiative headed by Al Fear, a Cedar Rapids police officer. The initiative, which spans Linn, Johnson, and Black Hawk counties in Eastern Iowa, aim to improve awareness, prevention and treatment programs, and enforcement efforts. The initiative partners with the U.S. Attorney’s Office for the Northern District of Iowa and is supported by federal funds from the Midwest High Intensity Drug Trafficking Area program. So far, much of the initiative’s efforts have focused on reaching out to the community and setting up prescription medicine take-back boxes in local law enforcement offices in order to get addictive and dangerous substances out of home medicine cabinets. More than 4.8 million controlled substances were prescribed to Iowans in 2014, including a large number that were opioid painkillers. The take-back programs play an important role in the fight against heroin abuse because of the significant link between prescription pain pill abuse and heroin.“It’s a location everyone knows about, that’s usually centrally located within the county, and [the box] is easily accessible 24-hours a day inside their lobby,” Fear said. This story was originally published Jan. 14 and produced by the Iowa Center for Public Affairs Journalism-IowaWatch.org, a nonprofit, online news website that collaborates with Iowa news organizations to produce explanatory and investigative reporting.